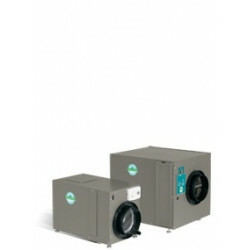 Lennox Healthy Climate dehumidifiers are designed to be integrated and installed with your central HVAC system. These dehumidifiers will remove excess moisture from your home's air which will reduce dust mites, mold, and bacteria that thrive in humid climates as well as protect your home's furnishings and floors from damage. Lennox also backs all their dehumidifiers with a 5 year limited warranty on covered parts. Popular Lennox Healthy Climate Dehumidifiers: Y1841 > and Y1842 .